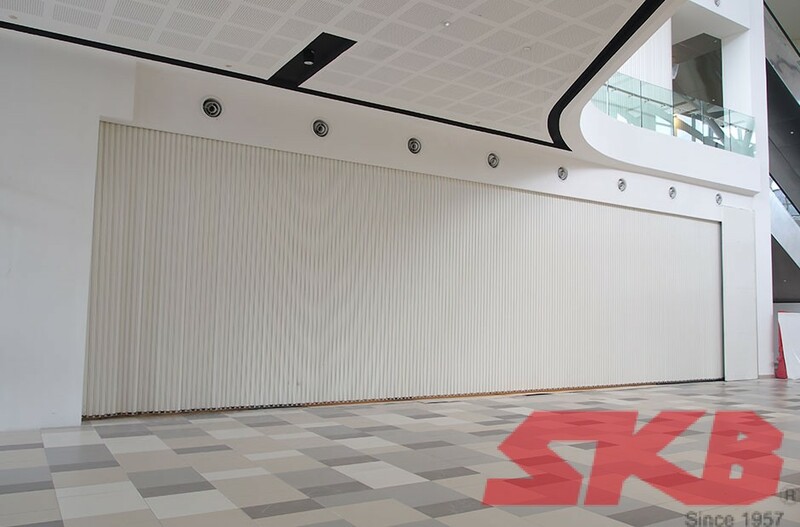 ­The SKB Lateral Sliding Shutters also known as the Pathwinder Shutters is ideal for compartmentalising large areas such as atriums, center architectural voids; small kiosk and shop fronts with low or minimal space allowance for shutter box as well as large and tall openings required to be segregated when needed. The unique feature of the sliding shutter it is flexible on the traveling path with no bottom guide. Can also be applied to both straight or curving traveling path to suit most architectural design for compartmentation. Tested and recognised by local and overseas certifications for 1-hour, 2-hour and 4-hour fire-rated. ­Up to maximum opening size of 80000 mm in either single or double span. The Pathwinder Lateral Sliding Fire-rated Shutters is fire resistant for more than four hours, surpassing industry requirement. 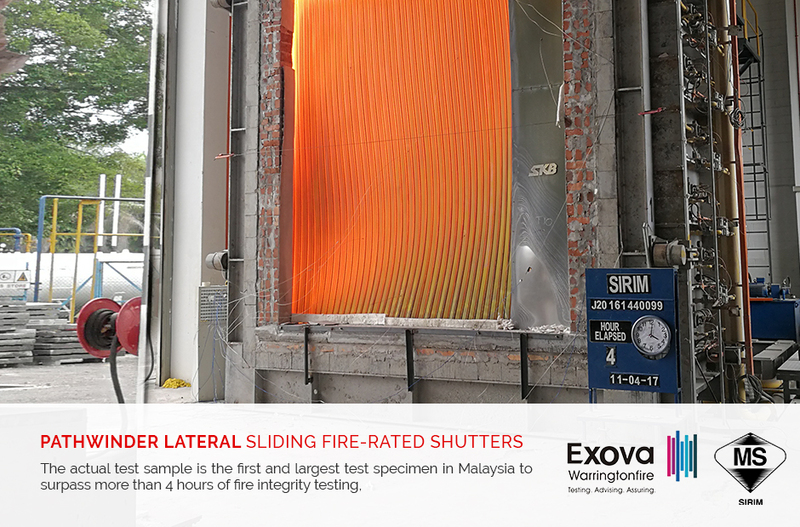 The actual test sample is the first and largest test specimen in Malaysia and also the first to surpass more than four hours of fire integrity testing. 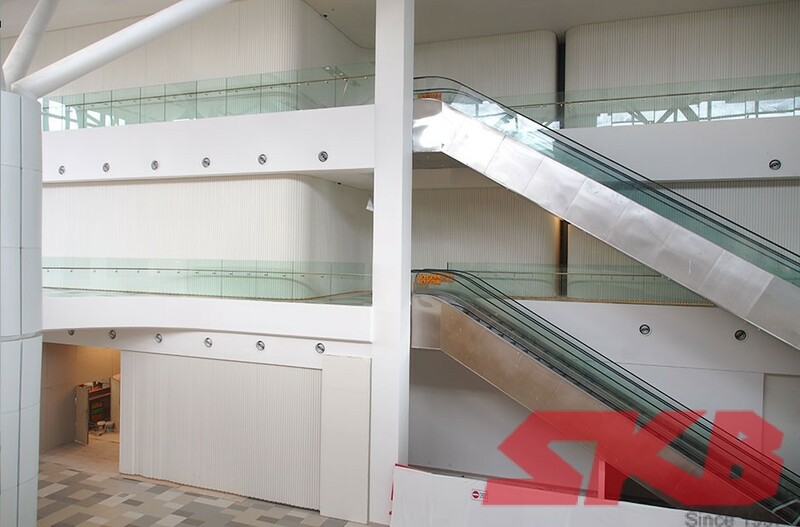 The shutters are widely used in the atrium, large openings in hotels, malls, grand lobby, car parks; escalator void areas and many more. ­Straight or Curving Travel Path. Motorised and non-motorised method of closure. ­­TÜV SÜD PSB Singapore Standard SS489. ­­British Standard BS 476 Part 22.